WHYBL's Summer Travel program has grown to one of the most competitve programs in CT. 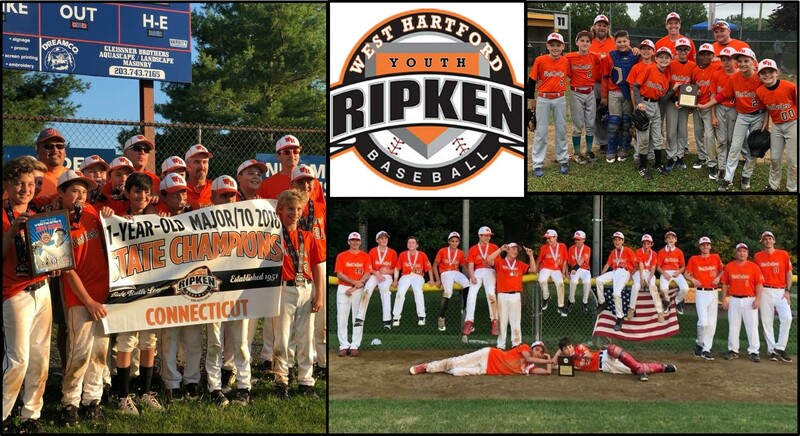 Most recently our 11u Summer Travel Bulldogs captured back-to-back CT State Cal Ripken championships and were one win away from their 2nd consecutive New England Regional title. In 2017 they qualified for once-in-a-lifetime trip to the Cal Ripken World Series! Also this past season, our 12u Summer Cyclones team traveled to Cooperstown Dreams Park to participate in a national tournament with 104 teams from all over the United States. The Cyclones finished overall in 5th place out of all 104 teams with wins over Massachusetts, Wisconsin, Pennsylvania, NJ, NY and Ohio. A return trip to the Ripken Experience in Aberdeen, MD for the 11u team. Stay tuned for announcements regarding Travel Open House Days at our Indoor Training Center coming soon!